The Standing Stone: Cairn R1, Carnbane East, Loughcrew, Co. Meath. Cairn R1, Carnbane East, Loughcrew, Co. Meath. 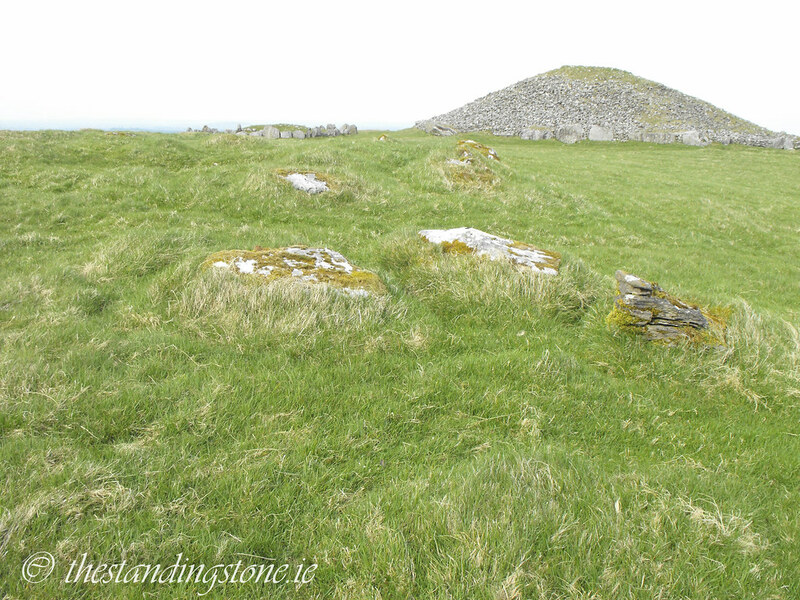 Location – Close to cairn T.
Description and History – There is very little left of this cairn which has a circumference of 42m and a diameter of 10m making it one of the smallest tombs at the site. However, in its ruined state it is impossible to say what its original size actually was. All that remains are a few stones from the chamber. Difficulty – Easy to get to.